The Ewing cousins and their parents squared off … again! Drew Ramos drops the ball yet saves the day in an episode that sees the power structure shift at Ewing Energies. Sue Ellen visits Ann in jail to give her moral support, urging her friend not to give up. She’s less generous with Elena, whom she takes to task for not providing her updates on her progress on the oil rig. John Ross suggests it’s time his mother partner with him to take what she wants without waiting on Elena. 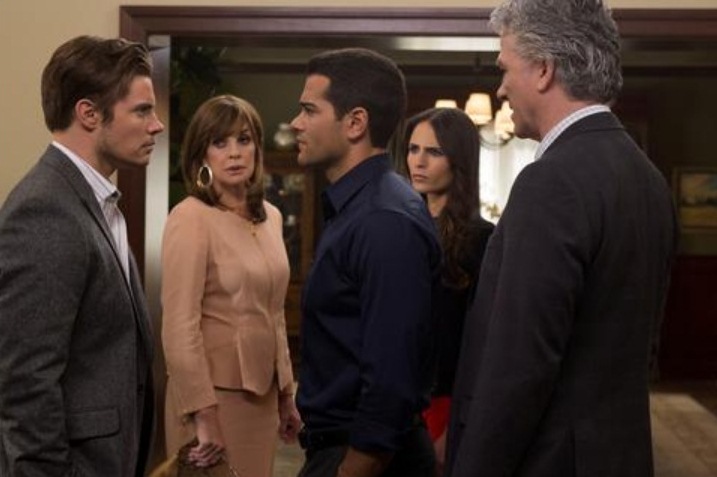 Seeing Elena so cozy with Christopher feeds Sue Ellen’s anger and John Ross gets a powerful new partner. He’s livid, however, to learn that Pamela wants to hold on to the 10 percent of Ewing Energies she received in mediation with Christopher in exchange for an annulment and joint custody of their twins. Pamela is moved to hear her father’s pleasure upon learning she has secured shares of Ewing Energies. Pammy’s deal with Christopher paves the way for him and Elena to marry. Elena’s thrilled, but loses her shares of Ewing Energies when Drew signs a confession to unknowingly transporting stolen goods as part of a plea deal. The confession effectively breaks Elena’s contract with Sue Ellen and she and John Ross show up at Southfork to lower the boom on Elena and Christopher. Things heat up when Bobby tries to retrieve the videotaped evidence of Marta pinning the fraudulent sale of Southfork on J.R. and John Ross, only to see it get wiped clean from his laptop thanks to a virus attached to a funny video J.R. sent him from his laptop. Just as Bobby grabs John Ross to toss him off the ranch, Vicente Cano arrives with his goons and a captive Pamela. It’s time for John Ross to honor their deal for Christopher’s methane technology! Can Drew make up for the trouble he’s caused his sister? Vicente orders Chris to retrieve the methane process information from his office at Ewing Energies accompanied by one of Vicente’s men. If Chris fails to return within an hour, Vicente will kill the woman he loves: Pamela, um, make that Elena! At the office, Chris disarms the goon but the guy is a text message away from ending Elena’s life, so he gives up. Vicente decides to take Elena with him to Venezuela as insurance and all hell breaks loose. 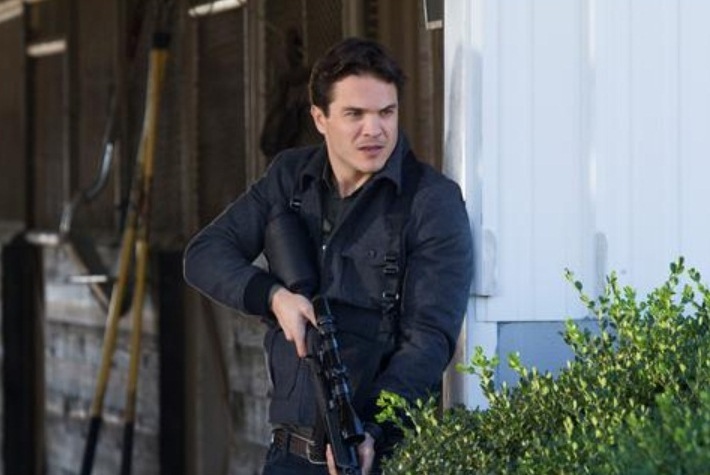 Chris and John Ross team up to overpower Vicente’s men — with Bobby’s help – while Vicente tries to escape with Elena. Drew arrives in the nick of time and shoots Vicente dead! Ann is thrilled to get a visit in jail from Emma, who is moved by Bobby’s offer of support from the Ewings should she ever need it. At her sentencing, Ann makes a final plea for leniency, sharing her remorse for shooting Harris, but reminding the jury that she was pushed to desperation by his cruelty. Her testimony succeeds and Ann is given probation, much to the chagrin of Harris and Mommy Dearest Judith. Ann’s return to Southfork is reason to celebrate for Bobby, but Sue Ellen’s arrival at Ewing Energies as John Ross’ new executive muscle gives him reason to frown. Their brush with death did nothing to change Sue Ellen’s blind support for her vindictive son. Bobby promises them the fight of their lives. ← Flashback Friday: A look back at Dallas’ most sinister sisters.